Amazon advertising is a hyper-competitive space for brands and manufacturers, and it’s only intensifying. The companies that will be most successful are those that invest early on in the processes, tools, and expertise necessary to build a sustainable advantage. Are teams learning quickly enough and keeping pace with Amazon’s changes? Is all the critical data easily accessible and are we extracting value from it? Are teams putting their time to the best use? What are the right investments to stay competitive? If you want to get ahead on Amazon, it is imperative that you make a strategic plan for your growth. 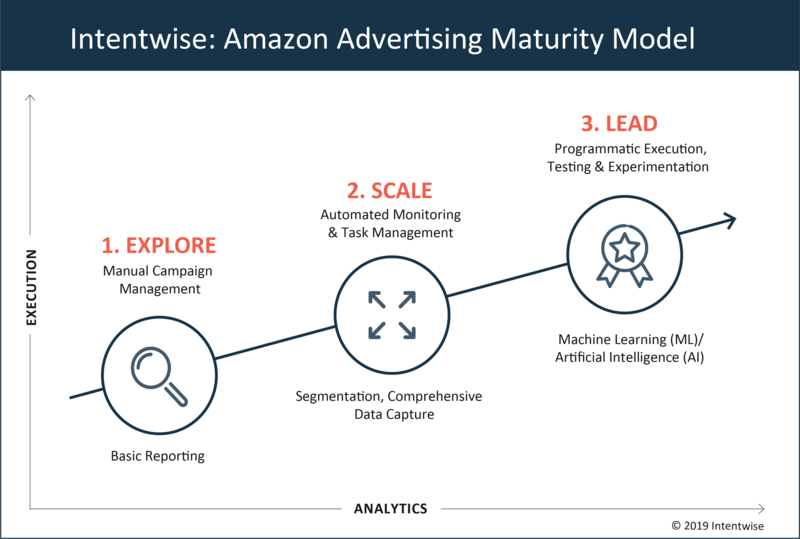 Our Amazon Advertising Maturity Model lays out a roadmap to success. We have broken down the work into three different stages, identifying the key opportunities in each and the actions you should be taking to propel your brand forward. In this initial stage, brands are just getting started with Amazon ads. The primary goal is to test the waters and see what type of results can be achieved with this advertising channel. Campaigns are small-scale and have modest monthly budgets. They can be managed manually, using the reporting that the Amazon platform offers. Most brands getting started with Amazon advertising don’t yet have extensive knowledge about the platform and its dynamics. 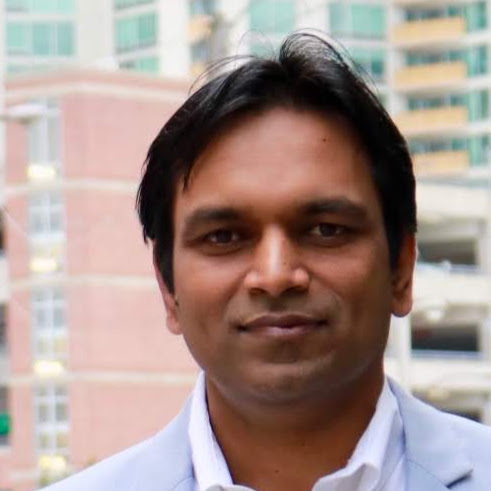 This is an excellent opportunity to deepen internal expertise and to foster a culture of continuous learning, especially since Amazon is constantly releasing new capabilities. It is also imperative at this stage to ensure consistency and excellence in the execution of your campaigns. Anything less will distort your understanding of the platform’s potential for your brand. To mitigate this risk, we highly recommend engaging an expert to conduct an audit of your performance. An expert’s assessment can help improve execution, elevate your internal expertise, and get you ready to scale even faster. As budgets grow and campaigns are increasingly sophisticated, brands enter the second stage. By now, they will likely have a dedicated person or – either in-house or an external consultant/agency – managing the advertising execution. At this stage, many routine campaign management tasks, such as bid updates, new keyword additions, and performance monitoring are semi-automated through pre-defined rules. The team is able to dig deeper into performance data using rich segmentation tactics, such as analyzing performance by product categories, brand versus non-brand keywords and new versus existing products. This level of sophistication allows your team to rapidly diagnose problems and identify solutions. To stay competitive at this stage, brands must shift where they spend the bulk of their time from tactical execution to strategic analysis, while maintaining high-quality execution. This requires investing in automation on multiple fronts, including performance monitoring, bid management, and keyword optimization. Automated alerting can help detect performance anomalies rapidly. Automated bidding rules can help brands nimbly execute sophisticated scenarios, such as bid changes by day-of-week and time-of-day. From a learning and development standpoint, the most successful brands at this stage are working to build their team’s expertise on two fronts simultaneously: Amazon advertising best practices and data analytics. Brands must rapidly learn from advertising data and other market place signals such as organic ranking, price changes, content quality, customer reviews, overall sales and more. In order to accomplish this, brands must have a seamless strategy for collecting, analyzing and acting on these disparate data sets. Brands at this stage are the dominant players in their respective categories. What differentiates these brands is their willingness to experiment, fail quickly, learn from it, and start all over again. Their goal is to do what it takes to find out what works for them as quickly as possible. Brands have advanced analytical capabilities with which they can extract significant value from their data assets. They are able to pose complex questions, answer them, and execute their advertising dollars efficiently. What is the true incremental effect of advertising spend on sales? How sensitive are sales to ad spend in each product category? What is the impact of price changes on advertising ROI? As Amazon introduces new capabilities, these brands are at the fore-front of testing and leveraging these capabilities to their advantage before others do. In summary, brands that win on Amazon are nimble, they take calculated risks, they are constantly experimenting and are trying to unlock value from every available signal / data set. Brands must go beyond rule-based automation to having much of their performance diagnostics and campaign execution driven by machine learning (ML) and artificial intelligence (AI) algorithms. ML/AI algorithms can learn from data and make predictions/decisions at scale. ML/AI have been around for a very long time. What has changed in the recent past is that cloud computing developments have made ML/AI capabilities very accessible. Brands that embrace these capabilities in solving the hard problems specific to their business will have a significant competitive advantage. Collect as much data on as many variables as possible: advertising, pricing, organic ranking, content, reviews, sales, etc. Amazon’s rapid ascent as an advertising powerhouse presents a major opportunity for brands and manufacturers. With the right vision, plan, and investment, Amazon advertising channel can serve as a sustainable strategic advantage. Connect with us to learn more about where you stand on this maturity curve and how to accelerate your growth. Stay one step ahead! Subscribe to our blog and receive follow-on posts on this topic.